Interior much improved over previous Alfa models. Excellent handling for an SUV. Impressive engines including 2.0-litre turbo petrol. Five star Euro NCAP rating. Still not as well-executed as German rivals. Odd brake pedal feel. The Alfa Romeo Stelvio manages to capture Italian charisma and enjoyable handling in a practical, family-friendly package. It’s not as flawlessly executed as a pricier Audi Q5, but it has plenty of appeal – especially if you want a dose of style with your family SUV. 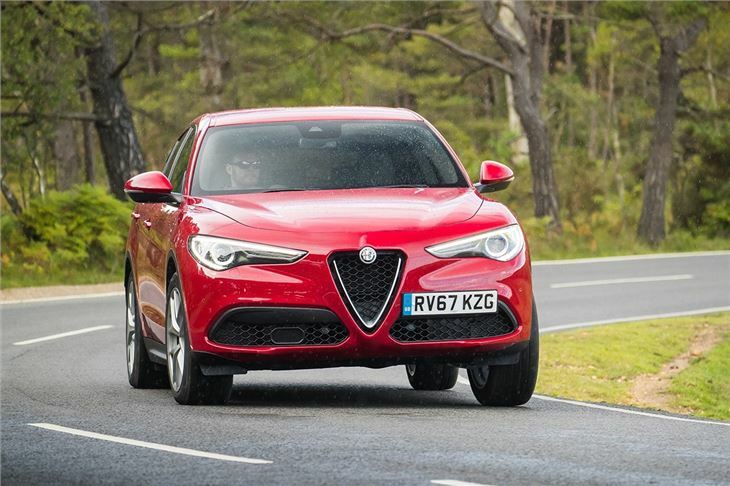 Underneath the bigger, taller body, a lot is shared with the Alfa Giulia saloon. That means strong 2.0-litre petrol and 2.2-litre diesel engines along with a standard eight-speed automatic transmission. All-wheel drive is optional on lower trim levels and standard towards the top of the range. 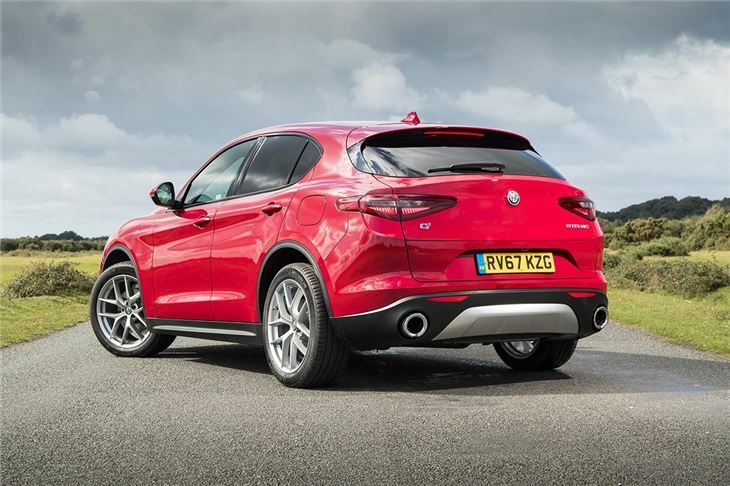 On the road, the Stelvio has impressive handling for an SUV, with very little body roll, direct steering, and strong engine response. 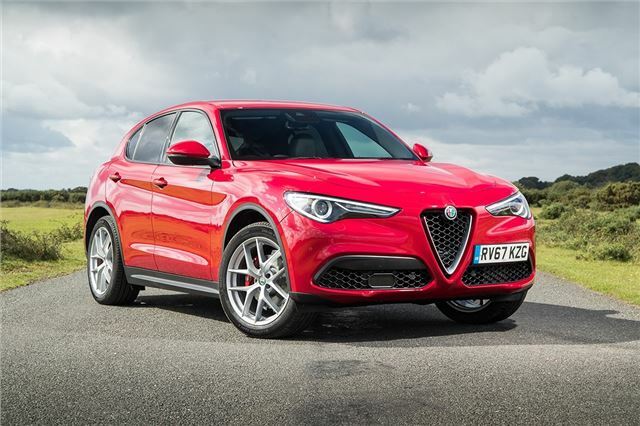 The only oddity is the fly-by-wire brake pedal that lacks feedback and feels a little alien, at least for the first few miles on a country road. Inside, the layout has typical Alfa features like deeply-recessed instrument dials, plus there are some really nice touches like the option of open-grain wood. 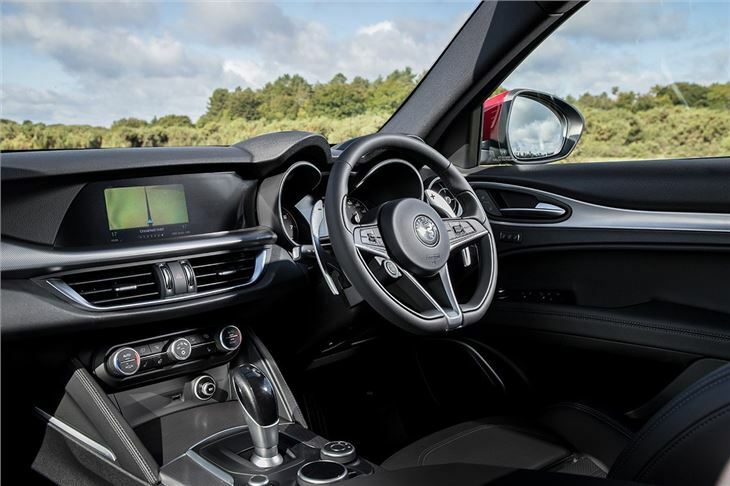 Material quality is good, though it’s not up to the standards of an Audi or BMW, with some ugly-looking plastics on the infotainment controller, for example. 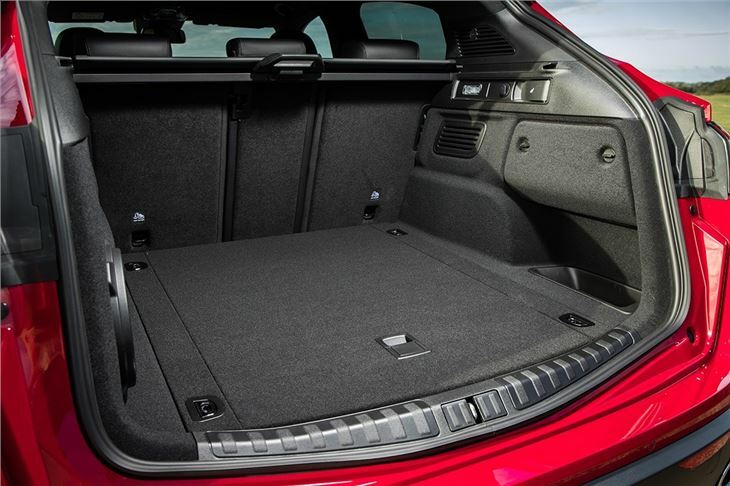 But practicality is good, with a wide, flat load area and a decent level of rear leg- and headroom. Even older kids and teens will be able to get comfy – but if you’re really after practicality and family-friendliness, the Audi Q5 is better, with more space for passengers and a larger boot. 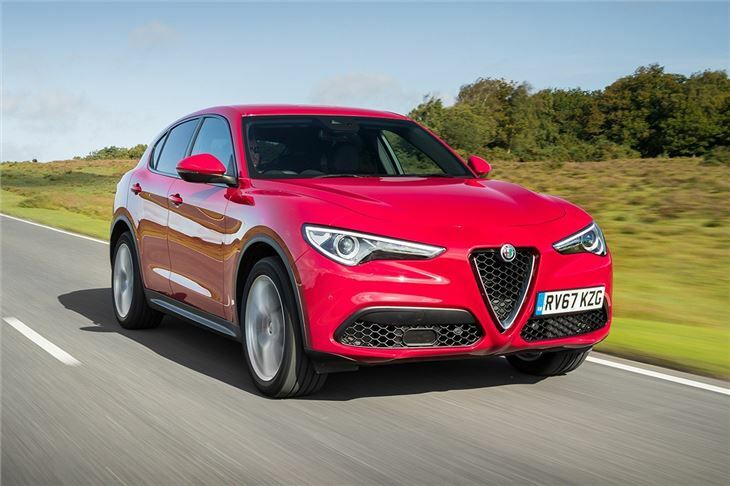 However, the sacrifices in terms of space and practicality are minimal and, if you like the style and driving dynamics, a few flaws are easily forgiven. 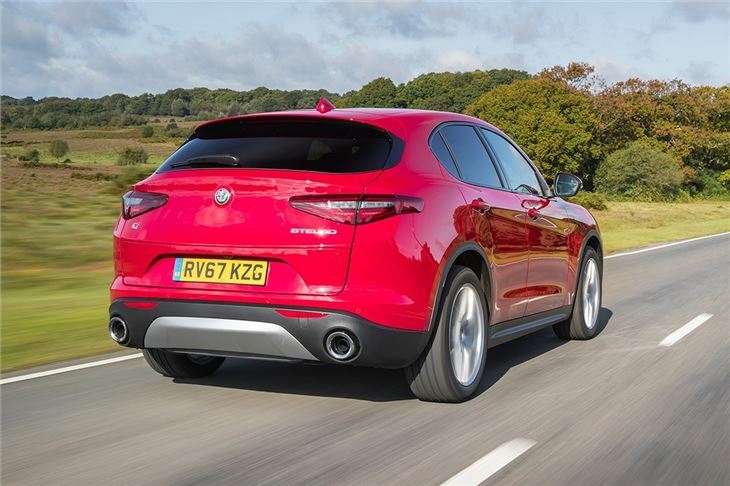 Compared to its more established German rivals it doesn’t feel quite as well-finished, but it's still a very accomplished SUV and a worthwhile alternative.